James Jude Courtney in Halloween. The Michael Myers series of horror movies began in the 1970s. For horror buffs, we were in heaven. Slashing and stabbing became an art. 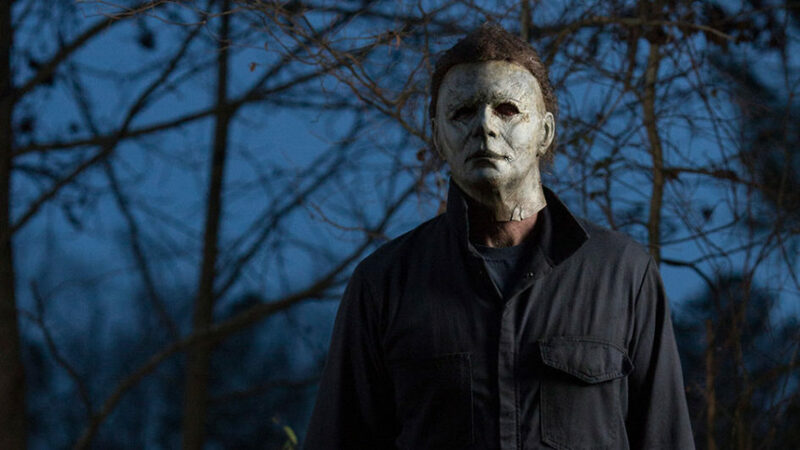 Now we have a resurrection of the Michael Myers franchise, because after all, you could put Michael in a vat of concrete, let it dry, bury it in a cemetery and some way he will come back. Oh, now that I think about it, that scenario could have been used to end one of Michael’s movies. 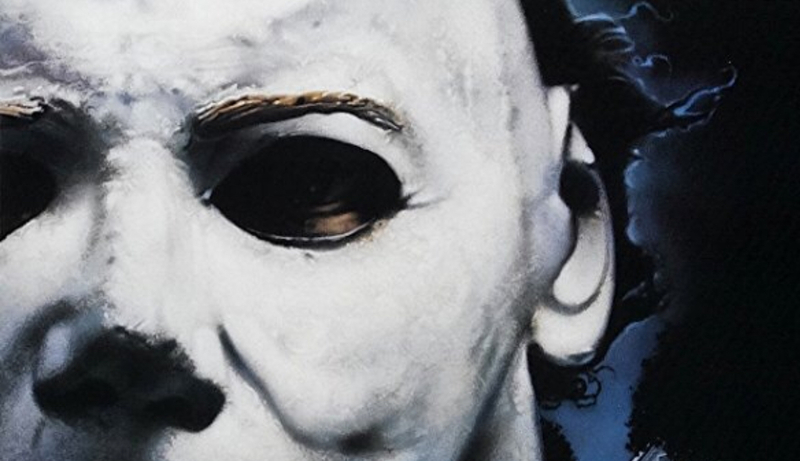 So, let us take a look back on Michael and the Halloween movies as the eleventh film in the franchise is about to come out at theaters. #1) Halloween came out in 1978 and the movie was set in 1963. I loved the way we first see a 6-year-old Michael. He is a young kid excited for Halloween. So, the first look at Michael is a young boy who does the unthinkable. From cute little kid to psycho dead eyes after the slaughter. Note: the famous profile of Michael wasn’t on the first poster. You only see a grown Michael later in the grown-up mask, which was a cast of William Shatner’s face. What was funny about using Shatner’s likeness was that it was a familiar face that you can’t quite place. It didn’t look scary at all until the knives came out. #2) In 1981, Halloween II picks up where the first one left off. Surprise! Laurie Strode is Michael’s sister. So, of course he had to attack her. We learn why it was called The Death of Michael Myers, which seems silly now, since we are on film No. 11. Spoiler alert: Michael doesn’t really die. #3) Worst Halloween movie ever. Maybe Season of the Witch was supposed to send Halloween into a different direction, but really it was confusing and not scary. I want to shake the person who thought this was a good idea. You had a surprise hit. This is not the time to take a left turn. You almost lost your franchise for that acid trip. I’m still pissed. #4) Back on track. Thank goodness! Made in 1988, six years after film number three. And yes, it took that long to get back to the real Halloween. This was The Return of Michael Myers. Michael is in a coma, but wakes up and gets out of the hospital. He was looking for relatives. #5) In 1989, The Revenge of Michael Myers is mainly a recap of the previous Halloweens. Oh, and a little twist, Michael has a psychic connection to little Jamie. Like a homing pigeon, he tries to find her. #6) Six years later was The Curse of Michael (Don’t you think the real curse is on the poor town?). Why does anyone stay in Haddenfield? #7) Released in 1998, the original title was Revenge of Laurie Strode. It’s been 20 years since Laurie was almost killed by Michael. She has been hiding out and honing her skills. Jamie Lee Curtis was great and reappears in #11. #8) Teens win a contest to spend the night in the Myers family home in Halloween: Resurrection. How stupid would you have to be to stay in that house? #9) Halloween was directed by Rob Zombie and had a much bigger budget. Tyler Mane played Michael Myers, which was a bigger and more muscular Michael. Malcolm McDowell played Dr. Loomis. #10) Regarding Zombie’s Halloween II, I have nothing to say about remakes. #11) Lastly, this film will be coming out soon. Think about The Walking Dead. They never call the dead “Zombies.” It’s like the world grew up without Zombie movies. The new Halloween will be, I think, like that. Something happened to Laurie Strode and Michael was put in an asylum and never broke out until years later. None of the other people knew Michael until he escapes. Laurie knows, because he attacked her when she was young. Watching all these movies and reflecting on how horror movies and the effects have changed seems surreal. I’m definitely going to see the new movie. Why stop now?